Eccentric Pop Records has been doing some great work on their Groovie Ghoulies reissues. 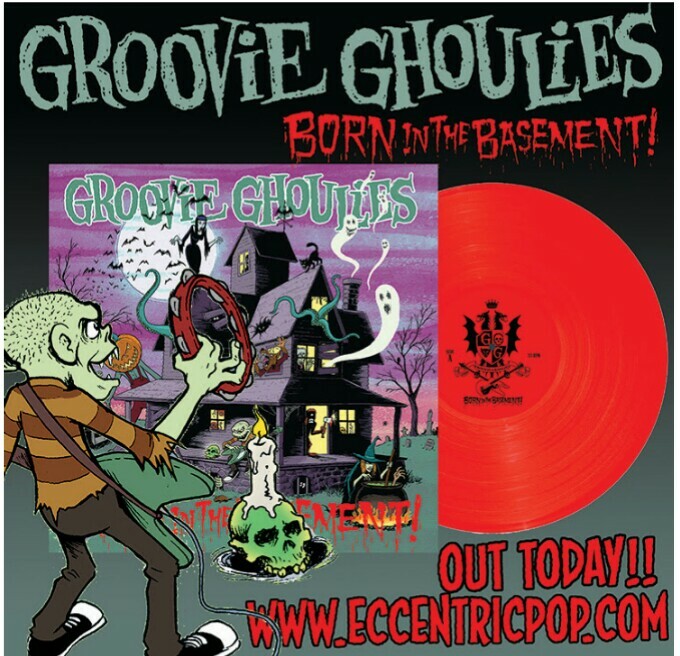 After putting out the collection of the Ghoulies first 3 7″s for the “Flying Saucer Rock N Roll” LP, repressing it, releasing Kepi Ghoulie and the Accelorators reworking of Fun in the Dark, releasing and then repressing the Kepi Goes Country record , then releasing the reissue of the first Groovie Ghoulies record, “Appetite For Adrenochrome”, Eccentric Pop now brings you the reissue of the Ghoulies 2nd album, “Born In The Basement” on limited edition red vinyl. 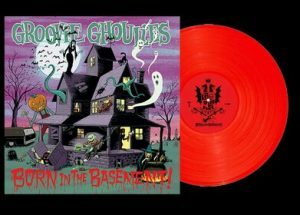 Born in the Basement is the album with some of the Groovie Ghoulies best known songs, such as “The Beast With Five Hands,” “I Wanna Have Fun,” & “Hypergenerate”. Lots of pop-punk spooky fun on this album. Limited to 500 copies on red vinyl. The CD version of this reissue has been out for about a month or so and is also available. As with the other GG reissues on Eccentric Pop you get awesome new cover art and insert art by Tom Neely. And as of now, while supplies last, every order gets a free copy of Eccentric Pop’s new fanzine. Chalked full of interviews with Kepi Ghoulie,a look into the new Putz record and so much more. So head on over to http://eccentricpoprecords.storenvy.com// and grab this before it’s gone.